The revered Madhyamika Buddhist philosopher Nagarjuna is a central figure in the history of Eastern thought. In his Seventy Stanzas, Nagarjuna shares his views on many eternal questions including inquiries into what it means to have a proper understanding of the mind and the objects that it perceives. Though counterintuitive, he believes that one should regard all objects as being ultimately immaterial because if objects were not ideational, one’s immaterial mind would not be able to perceive them (1). Nagarjuna’s view derives from his belief that the mind is an immaterial sense organ that perceives thoughts and ideas as its objects, and thus what it perceives has to have ideational qualities necessarily or else the mind would not be able to know them (2). However, how can an object be a subjective entity, if one cannot perceive it as it is in-itself, or as if one were in its perspective? This piece will first focus on Nagarjuna’s views regarding the nature of the mind and what appears to be the material objects that it perceives. Next, I will explore why the untrained mind cannot view reality from an object’s standpoint. Finally, I will argue for Nagarjuna's views concerning the cultivation of the mind since like him I too believe that it is one’s duty to comprehend reality in a correct way because doing so helps to destroy ignorance or the foundation of all suffering. Within his Seventy Stanzas, Nagarjuna begins by describing the nullity of the concept of namarupa, or the notion of name and form (3). He believes that namarupa is an empty concept because a name is nothing more than a label of the totality of an individual’s temporary states of consciousness, and a form is nothing more than the collection of indefinite attributes that one mistakenly assigns to an object because they perceive it as being real (4). He grounds his belief in the fact that if namarupa were a permanent feature of reality, then nothing would come to be or pass away, which the experience of life disproves (5). Furthermore, he takes issue with those who claim that namarupa is real since upon analysis a name cannot exist without a form, and a form cannot exist without a name, which ultimately makes them non-distinct notions. Since neither name nor form can be permanent, and because neither can be truly independent of one another, Nagarjuna claims that one cannot truly argue that namarupa possesses the stability required of something that genuinely has inherent existence (6). Because namarupa is neither an eternal nor inherently existing concept, Nagarjuna continues to state that one should not regard it as a notion that accurately describes reality, rather it is just one of many concepts that plagues the mind and stops it from perceiving the world in an accurate way (7). Lastly, with Nagarjuna’s logical outline concerning the nature of things that appear to have name and form, one may continue to understand how the concept of the mind is ultimately empty too. According to Nagarjuna, the mind is an immaterial sensory apparatus that has thoughts and ideas as the objects of its perception (8). Also, he believes that the mind, like any other sense organ, interprets and perceives the world in a way that is complementary to its essence, and since the mind is immaterial, it is only fitting that it can only perceive ideational objects (9). Furthermore, to him though the mind can perceive various phenomenon one should not regard it as a complete or independent entity (10). He makes this claim for two reasons. First, if one’s mind indeed saw reality as it was in-itself, one would not be able to distinguish their awareness from the awareness of other things because reality-in-itself is a singular, all-encompassing totality where all transient perceptions occur (11). Secondly, since all things are dependent on an antecedent cause for their arising, one cannot trace the causal chain of their mind back to its origin because nothing exists without relying on something else to engender it, and therefore, it follows that nothing is actually self-sufficient, or unproduced (12). Hence, one may claim that to Nagarjuna, the mind’s lack of being able to perceive reality perfectly, as well as its lack of inherent existence leaves one with only one surest option regarding the existential status of the mind as a concept; it is ultimately null. Finally, because the mind is imperfect, since it lacks the ability to perceive reality as it truly is, Nagarjuna believes that one cannot genuinely perceive the underlying nature of life, and thus, all that one perceives are actually just appearances, or copies of what ultimately exists (13). Nagarjuna believes that objects are nothing more than a collection of temporary ideational qualities that together give rise to an appearance that is ultimately an empty one (14). Consequently, he claims that the mind can perceive an object because of its ideational attributes and that it mistakenly takes those qualities to be the absolute essence of the object, when in fact there is none (15). To Nagarjuna, the mind makes this error because initially it is a faulty perceptive tool that takes what it perceives not only as a given feature of reality but also as the only one. The problem Nagarjuna has with the idea that there is nothing behind reality and that objects do exist as they appear is that objects have to have qualities that are compatible with the essence of the mind for one to perceive them (16). In other words, the mind, which is immaterial, can only perceive things that are also immaterial, and thus, by necessity objects have to have ideational features because if they did not the mind would not perceive them. Hence, because the mind can perceive objects, one can only claim that they are perceiving the ideational aspects of them and not as they truly exist (17). But, what would happen if one were to strip all those ideational qualities away? Nagarjuna has an answer for this as well, and simply put, he believes that objects would not appear to people because without their attributes objects are conceptually empty (18). Finally, because of the nullity of the existence of objects, one should inquire into why the mind mistakenly takes them to be real, what are the implications of that belief, and how can one correct their mind to view reality as it is in-itself. The reason why an individual cannot view reality as it is in-itself is that the mind is part of a world that is not genuinely existing or non-existing (19). In other words, the reality that the mind arises into is ontologically ambiguous and because of that one’s mind does not have either a clear perception of things or a total misperception of them. Thus, one may understand the mind as being in a foggy state of flux; that occupies a place between two categories of existence that it can never pass into because the nature of existence is also in a state of vacillation. Furthermore, reality’s uncertain existence afflicts the mind to believe that what appears is real and that there can be no metaphysical backdrop to it. Nagarjuna claims that there is more to reality than meets the eye and that practices such as meditation, reflection, and logical analysis can correct the mind to at least know that the phenomenal world is not real (20). Lastly, because the phenomenal world is a false appearance of ultimate reality, and because that limits the mind from perceiving the true nature of things, Nagarjuna continues his discourse by explaining why one cannot perceive reality from an object’s standpoint. To Nagarjuna, for one to be able to perceive the world from an object’s standpoint, or from any other point of view, they must first rid their mind of its innate ignorance (21). Like many Buddhists teachers and philosophers before him, Nagarjuna claims that ignorance is the root of all suffering, and that to correct ignorance one must amend their faulty perceptions (22). Furthermore, to rectify erroneous impressions one must first learn how to ease their mind so that they can delve into its mysteries in a logical and clear-headed way. 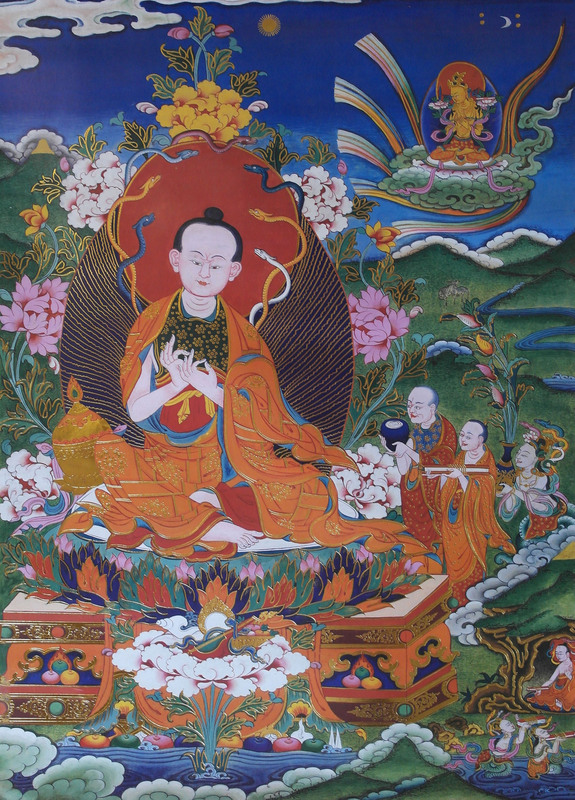 Nagarjuna claims that once one discovers themselves, they are then able to learn and master all aspects of their mind so that they can transcend the conditions of the phenomenal world, and become one with ultimate reality (23). By realizing ultimate reality, and by being one with it, he continues to claim that one can view reality from any standpoint because to know all aspects of one’s mind is also to know all other forms of consciousness. Nagarjuna justifies his claim by stating that since all things share the same reality, and because that interconnects all of them, one’s awareness is not truly their own, but rather it is a transient aspect of ultimate reality (24). Thus, one may infer that if they correct their mind and achieve absolute knowledge of it, they would view life from reality’s standpoint which includes the point of views of all objects (25). Finally, Nagarjuna instructs that one’s awareness of ultimate reality can only come through diligent mental cultivation, which helps to erase ignorance or the root of all misery. In Nagarjuna’s view, the capacity to focus is one of the most integral features of the mind because of one’s ability to use it as a means to correct thinking (26). Nagarjuna claims that the first step toward understanding ultimate reality begins with focusing the mind on uncovering its appearances so that one may see beyond its mere phenomenon (27). To do so, one must analyze concepts and definitions, to have a correct disposition or attitude to interpret the phenomenal world, yet one should always remember that concepts and definitions, like all other things, are ultimately empty (28). By recognizing that emptiness lies beneath the world of appearances, one is cultivating their mind to perceive the world in a more logical and genuine way. To Nagarjuna, perceiving reality for what it is, is important since viewing the world in an exact fashion can only come from a cultivated, well-trained, and knowledgeable mind that is the antithesis of an ignorant one (29). Furthermore, because ignorance is the root of all suffering one may continue to claim that expanding their knowledge and using it to decipher existence helps to quell misery. The reason why cultivating knowledge contributes to extinguishing pain is that an intelligent mind adds to the number of those who are not ignorant, and therefore, by lessening the number of those who misperceive life, a knowledgeable person helps to erase the reality of ignorance (30). Finally, by helping to erase the reality of ignorance, one is fulfilling a duty by developing their mind, that I believe all people should embrace. I believe Nagarjuna would claim that cultivating the mind to help eliminate suffering is a duty that all should embrace. First, Nagarjuna, who stresses the importance of being aware of ultimate reality, also claims that awareness through correct thinking is how one breaks the chains of ignorance, and in turn, achieves total spiritual illumination (31). Furthermore, since ignorance is beatable by right thinking, and because diligently training the mind helps one to achieve genuine knowledge, one may infer that a cultivated mind lacks ignorance, and therefore, ceases to suffer. Also, since knowledge subdues the effects of ignorance, one may claim that harnessing the mind is a duty that all people should embrace because only an enlightened world will extinguish the pains of incorrect thinking for all (32). Finally, just as ignorance causes misery, knowledge, to Nagarjuna, causes the conditions needed for one to achieve spiritual liberation, which, if all people practiced, would transform the world of suffering into one of eternal bliss because ignorance would never be known again (33). In this work, I have tried to discuss Nagarjuna’s idealism as a metaphysical argument for training the mind to perceive reality in an accurate way. Also, I have sought to emphasize the importance of understanding Nagarjuna’s views concerning the existence of the mind and the objects that it takes as given features of reality because I believe it invites one to reexamine their beliefs concerning mental and physical phenomenon from a unique perspective. Furthermore, by drawing attention to how and why the mind misperceives reality, I attempted to set the stage for one to understand why it is an important duty to cultivate the mind. Finally, by arguing for Nagarjuna’s views on strengthening the mind, I have sincerely hoped to show how the processes and techniques of self-cultivation help to reduce ignorance and the misery that it produces. 1. Nagarjuna. David Ross Komito trans., Nagarjuna’s “Seventy Stanzas”: A Buddhist Psychology of Emptiness. (New York: Snow Lion Publications., 1987)., 46-47. 2. Nagarjuna and Komito, “Seventy Stanzas”, 31. 3. Nagarjuna and Komito, “Seventy Stanzas”, 80 & 88. 4. Nagarjuna and Komito, “Seventy Stanzas”, 81-82. 5. Nagarjuna and Komito, “Seventy Stanzas”, 83. 6. Nagarjuna and Komito, “Seventy Stanzas”, 83-84. 7. Nagarjuna and Komito, “Seventy Stanzas”, 82. 8. Nagarjuna and Komito, “Seventy Stanzas”, 91. 9. Nagarjuna and Komito, “Seventy Stanzas”, 91. 10. Nagarjuna and Komito, “Seventy Stanzas”, 84-85. 11. Nagarjuna and Komito, “Seventy Stanzas”, 80-81. 12. Nagarjuna and Komito, “Seventy Stanzas”, 80. 13. Nagarjuna and Komito, “Seventy Stanzas”, 83 & 89. 14. Nagarjuna and Komito, “Seventy Stanzas”, 83. 15. Nagarjuna and Komito, “Seventy Stanzas”, 83. 16. Nagarjuna and Komito, “Seventy Stanzas”, 37-38. 17. Nagarjuna and Komito, “Seventy Stanzas”, 38. 18. Nagarjuna and Komito, “Seventy Stanzas”, 37-39. 19. Nagarjuna and Komito, “Seventy Stanzas”, 91-93. 20. Nagarjuna and Komito, “Seventy Stanzas”, 88 & 91. 21. Nagarjuna and Komito, “Seventy Stanzas”, 82. 22. Nagarjuna and Komito, “Seventy Stanzas”, 92. 23. Nagarjuna and Komito, “Seventy Stanzas”, 94-95. 24. Nagarjuna and Komito, “Seventy Stanzas”, 59-60. 25. Nagarjuna and Komito, “Seventy Stanzas”, 81 & 91. 26. Nagarjuna and Komito, “Seventy Stanzas”, 52-55. 27. Nagarjuna and Komito, “Seventy Stanzas”, 55-58. 28. Nagarjuna and Komito, “Seventy Stanzas”, 85. 29. Nagarjuna and Komito, “Seventy Stanzas”, 74-75. 30. Nagarjuna and Komito, “Seventy Stanzas”, 75 & 92-95. 31. Nagarjuna and Komito, “Seventy Stanzas”, 95. 32. Nagarjuna and Komito, “Seventy Stanzas”, 94-95. 33. Nagarjuna and Komito, “Seventy Stanzas”, 95.